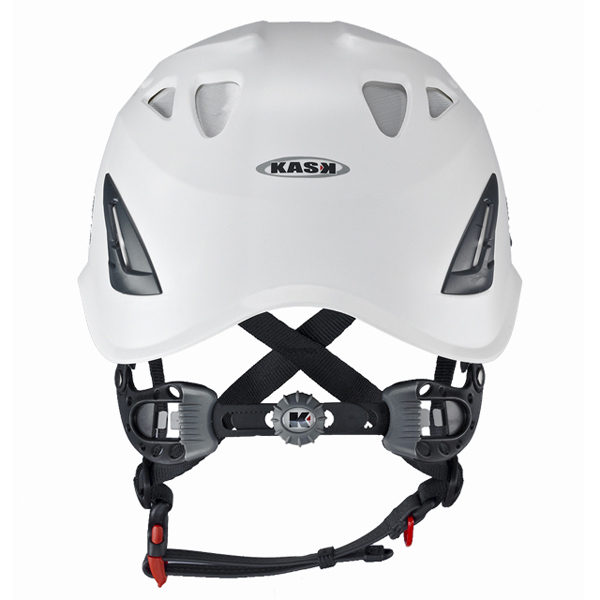 The Kask SuperPlasma HD helmets have been specifically designed for professional rescue and work-at-height applications provide the ultimate in head protection! They are lightweight, compact, amazingly comfortable and well-ventilated with 10 air intakes, equipped with protective aluminum anti-intrusion grills to deflect debris and water. Soft polyethylene side retractors regulate length of the straps, with a special red-colored ring on one for fastening the helmet to a harness. Works perfectly with the CMC Sunbrero! SuperPlasma Hi-Viz version features fluorescent colors and features reflective decals as well as glow-in-the-dark headlamp clips for maximum visibility in dark conditions.